If Campania is the place you have chosen to make your dream come true, most likely is because you love the sun and the colors of the Mediterranean sea. This is why our biggest strength is to choice for you the right location with terraces and gardens overlooking on our blue sea. You can choose between many locations placed on our coast, to celebrate your wedding as well as to spend your stay in this beautiful land. Is it the nice weather of this land as well as its thousand colors that has attracted you? So, you will certainly want to enjoy an outdoor wedding combined with the scent of citrus fruits and the warmth of sunlight which shines here for most of the year. That’s why, in fact, numerous our business partners offer the possibility to celebrate your love merrymaking in a very well-finished and suggestive open spaces, between the typical flora of the Mediterranean land, with view on our hearth-breaking landscapes or even with some big prehistoric structures or buildings a few steps away. The beauty and the folklore of the city of Naples can enchant you and let you fall in love with it at first sight; but also the sight of the Gulf or coloured and living alleys are so beautiful that can be the ideal frame to celebrate your union. For this reason, you have a wide choice of structures inside the city that, matching the refinement with elegance, succeed in offering you a very classy wedding celebrated in one of the most beautiful and suggestive cities of the world. Are you actually considering this, really? We are sure that sometimes you have drunk or you have heard about our refined wines which come from the vineyards of the backcountry of Campania, placed between the provinces of Avellino and Benevento. For this reason, why do not want to give this distinctive flavor to your wedding, organizing the celebration in a typical wine cellar? This would be a memorable and surely an original experience that will involve you and your guests in a distinguishing wine tasting as well as traditional products degustation, that are the best that you can find in Campania. Would you be interested in celebrating a Country Wedding, but you prefer trellis and ample spaces rather than a cellar? So, choose our country proposals which combine the familiarity of a farmhouse with the refinement of an old-fashion farm always well-finished in every detail. These locations are placed in different points and provinces of Campania and according to your choice, we can offer you unforgettable particulars and different activities that will make unique your wedding. As Italy has the half of UNESCO World Heritage, Campania in one of Italy’s twenty regions that worthily contributes in this big heritage. Pompeii Ruins, Caserta Palace, Temples of Paestum are only some of the most important attractions that can be the scenery of your wedding and can be the place where your guests can be entertained by pleasant activities. Photographs will seal the days spent in this historical land and will mark the beginning a new history: your love! 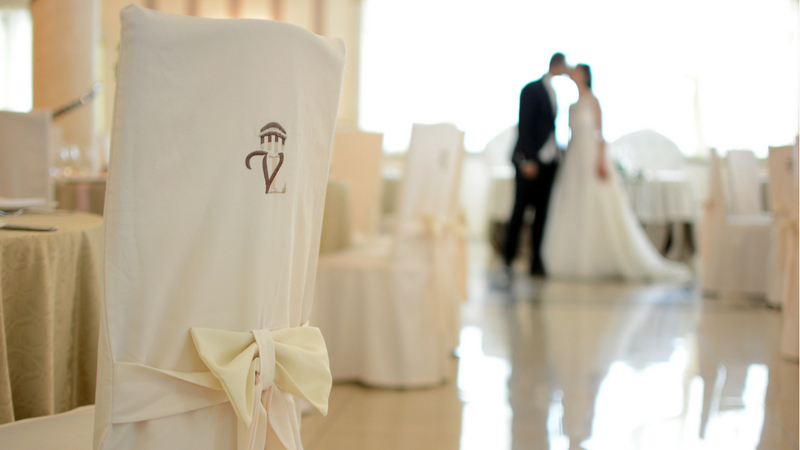 In Campania, more than all the other Italian regions, you can find the most expansive choice of classy hotels and specialized restaurants that know how to make unforgettable the day of your wedding. You will have the benefit to find chefs and kitchens directly on the spot; you will have the possibility to stay overnight inside the location and as you can see in every detail, you will benefit with our years and years of experience. Like you have red before, wide spaces and heart-breaking landscapes, between mountains and sea, are suited to make unforgettable your desired wedding. For this, we propose ancient and modern charming villas that will host you for the purpose to create a romantic and memorable dream of love, with views on the most beautiful places of Campania. All your desires will have the background that you deserve! If you are a romantic person, that one who dreams a love story of all times, this is what you need! You can celebrate your wedding in ancient rooms and hallways without renouncing to the wide cohorts. Castles and numerous historic buildings located in Campania, will be the best choice for you, because they combine historical touch with refined details that will create a fairytale with the title of your love. If you choose an outdoor ceremony, a country and polished taste of courses, a familiar but always elegant and well-finished atmosphere with the awareness to breath fresh air, in other words, you are choosing everything that is different from the classical proposals. This is what a ceremony offers you in one of our farmhouse with original cellars and imposing farms. A big touch of class that intensifies a country-chic environment and makes unique and original the day of your wedding.